Everyone knows that Twins are very closely bonded. 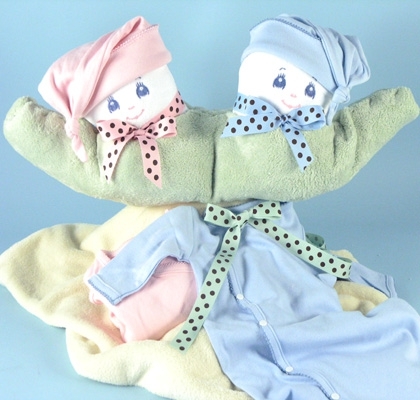 That's why we created the "Two Peas in a Pod" gift for twins. This visually imaginative and exciting gift offers much more than a pretty face though. 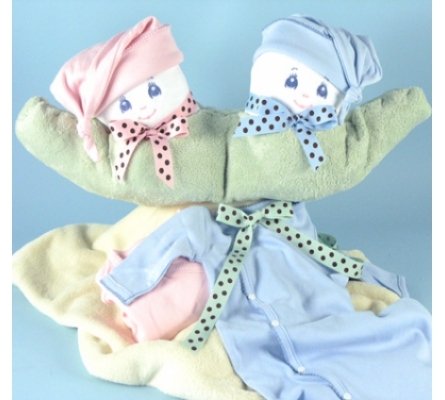 Dig deeper and you'll see that this gift includes some of the best layette items for each of the new babies. And to make sure all the possibilities are covered, choose the appropriate color combinations based on the gender of the twins.